If you want to raise the talent bar at your company, you’ll need to be able to measure Quality of Hire (QoH) throughout the entire hiring cycle. But how do you predict, track and measure QoH before making the offer? 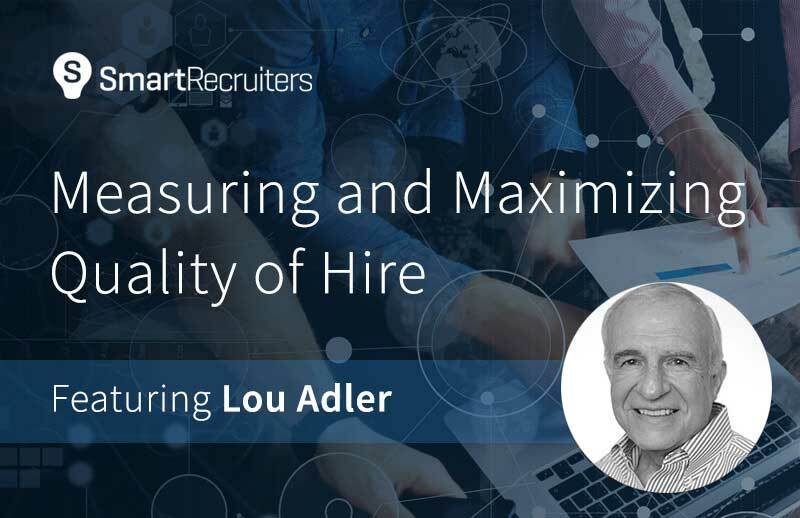 Watch this on-demand webinar featuring industry expert Lou Adler, Founder of Performance-based Hiring, and Rebecca Carr, VP of Product of SmartRecruiters, to learn how to accurately measure and maximize your quality of hire—from pre- to post-hire.